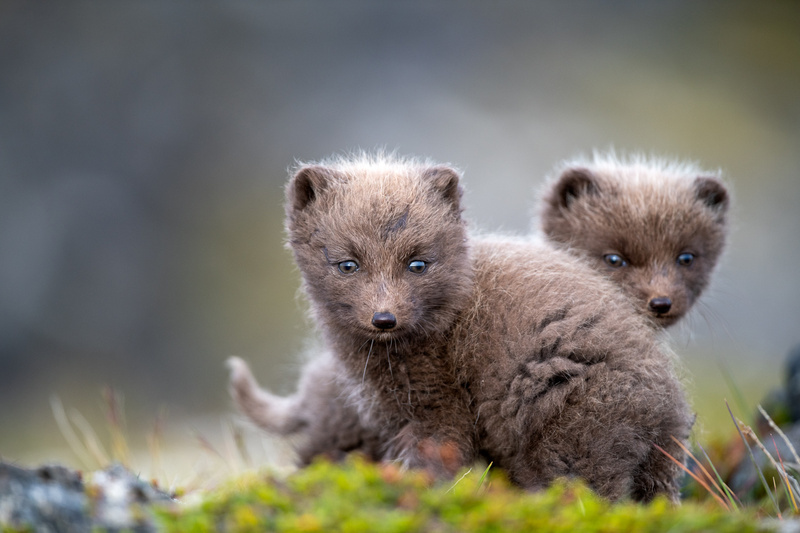 Only few weeks old these two wild arctic foxes cubs see a human for the first time. They have no idea that they should be afraid. Arctic foxes are heavily hunted in Iceland. If a photographer finds a arctic foxes den it should be kept a secret.